EU Referendum: so it's out then! Well, we've done it. Defying all of my expectations. Firstly, I want to get some things out of the way. Though I was wrong about the result I think the Vote Leave campaign was dismal. I believe it is responsible for this being a slim victory and not a landslide. Those ideas put forth by the leave camp have been wholly disgusting and factually incorrect. I do want to leave the EU but I do not seek the Britain as envisaged by the Tory right, the Labour left or Ukip. Thankfully, reality stands in the way of that. As campaigner and contributing editor at The Leave Alliance, you should know this. The official Leave campaign was one widely opposed and we never wanted the likes of Boris Johnson or Farage. These are not informed men and they have no idea what they are talking about. Our ethos at TLA was to make a liberal case for leaving the EU, seeking not to dodge the political realities. To that end, we produced a comprehensive Brexit plan which is rumoured to be required reading in the civil service. We make the case that leaving the EU in a single bound is impossible as it is damaging both to the EU and the UK. And so our recommended path is similar to that of Norway whereby we retain single market membership and freedom of movement. The funding for the official Vote Leave campaign dries up today and that malign entity will be dismantled. What Ukip says will no longer be relevant. This is now a decision for the adults. 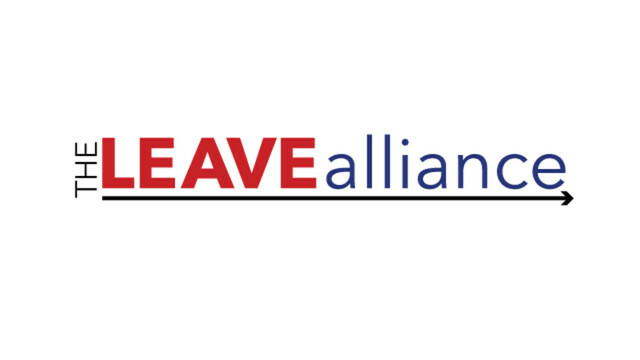 The majority of MPs are opposed to leaving the EU and so they absolutely will not support any moves to leave the EEA as well and so there are democratic safeguards in place to ensure extreme measures are not taken. We are meeting on Tuesday to discuss future direction. The proposal will be to continue making the case for Flexcit and for Efta membership under the banner of TLA. It sees us as close allies of the EU but not subordinate to it, which I believe is best for the UK. It retains most of the advantages of the EU without requiring a political merger and gives us control of key policy. I think it is the right move. This is not about hostility to Europeans or Europe. This is hostility to our political class who continued to commit us to further subordination without public consent. One way or another, Britain will remain a liberal and tolerant nation. We are simply choosing a different mode for our relations with Europe. The EU is based on a dogmatic principle of supranationalism. We are departing from that to a more multilateral mode both in Efta and the WTO. This is not the end of the world and I can assure you Ukip and the likes will not get their way. We know this because they only scored 14% at the general election. There are more of us than there are of them. As a committed leaver for all of my adult life I detest Ukip and what they stand for. And so do our thousands of supporters. I believe this is the right move because the question is now resolved, we can reboot British politics, redesign British governance and move on from a 40 year quarrel. Politics will be far healthier for it at the end of this process. In the meantime, nothing happens immediately, there is no need for alarm. Brexit is a process, not an event and we will see in due course that the propaganda spouted by the remain campaign was a gross distortion of the facts. Though if you wish to guarantee Britain remains a liberal and tolerant country, it will require of you that you maintain current levels of political particpation and speak up for what you believe in. We have been disengaged for far too long which is why we are even here in the first place. There will be more to discuss and this blog will continue as normal and I expect there is more work to be done. Meanwhile, enjoy the party. You have earned it. Pete also blogs here, on Pete North's political blog.